There is a plethora of dead-beat ministries on the radio and so-called "Christian" broadcast networks. It should make any Christian sick and upset. The simple gospel of Jesus Christ has been polluted with teachings about "financial seeds" and "divine faith healing." God's house has been turned once again into a "den of thieves!" We must NOT compromise or water down the truth. These people are all about making filthy-lucre. It takes more than a loose tongue and a few "hallelujahs" to fool a Christian who is familiar with his or her Bible (1611 King James Bible). Faith healers masquerade as "God's Anointed" yet they turn the gift of salvation into a charismatic infomercial with the goal of getting their hands on your money. They should be ashamed, but they are not. I believe in miracles but not modern day miracle workers. The Bible is clear in James chapter 5 that it is "the prayer of faith" which heals the sick--not the shenanigans of a false prophet! I have yet to see anyone that qualifies as a legitimate miracle worker today. I'd like to see Benny Hinn heal ONE cripple. When a miracle worker does come along, he will be the antichrist. The False Prophet and the Antichrist will be empowered by Satan to work miracles and deceive a lost world. If there are no legitimate faith healers, then why are there so many people claiming the gift of healing? The answer is simple. Faith healers make a lot of money!!! The faith healing business is nothing more than a money making scam, one of many heresies afflicting the church today. It is high time people start rebuking the real sickness afflicting the church, fake healers. Put faith healers to the test and they will fail every time. There is a big difference between saying and doing. Faith healers point to testimonials to support their claims, but testimonials are a dime a dozen. Some people will testify to anything. A testimonial is not evidence! A proper test of a faith healer is what is needed. A true faith healer could march into a hospital, which is where you find people in need of a miracle, and empty the beds--But this won't happen! Why? Because they are liars and evil prophets. Real miracles can't be faked. Benny Hinn took this test once. He was invited into a hospital for a miracle service. Afterwards Benny claimed many people were healed. The evidence shows no one was healed by Benny. Modern day faith healers do not have any supernatural power. They are like magicians putting on a performance. Magic is not real, it is based on illusions. The same is true of faith healers today. They act out well-practiced and staged magic tricks for a fee or what they like to call "love gifts." An examination into the excessive lifestyles led by faith healers reveals their true intentions. Faith healing is a business, a money making scam, one of many heresies afflicting the church today. Scripture says to test all things to see if they are of God. An examination into the excessive lifestyle led by faith healers, their false claims of miraculous healing, and their false teachings and there is no doubt that faith healers are fake healers. 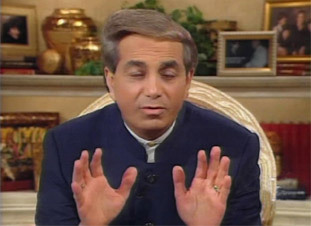 The most notorious "faith healer" alive today is without a doubt Benny Hinn. If an Oscar were ever to go to the most blasphemous charismatic performance during a "faith-healing" crusade or service, Benny would be nominated and win. Here we have a man that has made millions putting on faith healing services, yet Benny has never healed so much as a scratch on one of his victims. In fact a person is more likely to be injured by someone falling down on top of them than they are of being healed by Benny. Still, people rally to the stage to receive the "healing touch" of Benny. Now that is some illusion! 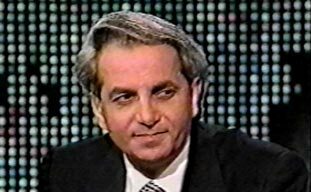 Benny Hinn is a Palestinian Arab born in 1952 in Jaffa, Israel, to a Greek father and an Armenian mother. Benny was raised in the Greek Orthodox religion and went to French Catholic schools. In 1968 the Hinn family moved to Toronto, Canada. Evidently, Benny became a charismatic in 1972 shortly after attending a Kathryn Kuhlman service. The only thing that is consistent with Benny is the inconsistency of his stories. In terms of his conversion, there have been at least half a dozen different stories. One can only wonder which one if any is accurate. Hinn decide the faith healing business was for him. So by December 1974 he began holding weekly healing meetings in Oshawa, Ontario, despite his complete lack of formal study or knowledge of scripture. In 1983 Benny moved his operations to the Orlando Christian Center in Florida. Following some legal troubles, he decide in late 1999 to move his operations to Dallas, Texas. Texas is the Mecca of faith healers. It is very hard to prosecute religious scam artists in the Lone Star State. Over the past few years Benny has moved in and taken over Paul and Jan Crouch's TBN television program. Benny was a good fit with the charismatic Jan Crouch. Benny and Jan have turned TBN into a charismatic big top. Jan claims to have raised a chicken from the dead when she was a little girl. Supposedly a truck ran over the bird. Jan simply poured oil over it and the little chicken came back to life. Benny just couldn't be topped by the false prophetess Jan, so Benny then claimed a man was raised from the dead at one of his services. Right! Benny has still not repented so if you ask me, there is still a dead man on stage at every Benny Crusade. Benny's fellow faith healers at Oral Roberts University granted him an honorary doctorate degree. How convenient! Hinn has documented his false teachings in several books including Good Morning Holy Spirit, The Anointing, The Blood, This Is Your Day for a Miracle and He Touched Me. At a professional magic show today you will see a good entertainer perform unbelievable "magic tricks." Simply put magic tricks are very clever illusions. Magicians are illusionists. Their performance is based on the principle that people are gullible and the human mind is very easy to trick. But most magicians are careful not to claim supernatural power. This is the only difference between magicians and fake healers. Fake healers claim to perform miracles. The truth is fake healers are like parasites preying on the weak and sick. When the human spirit and body have been devastated by an illness it leaves a person vulnerable. Many people go to faith healers because all other means of a cure have failed. They look at a miracle as their last chance to get their health back. Fake healers understand this human weakness and they use it to get what they want, money. Lets go behind the stage at a faith healing service and expose what is really going on. Mailing List Crusades - Believe it or not the primary purpose of a faith healing crusade is to obtain new names for the fake healer's mailing list. A major source of income for a faith healing ministry is derived from their mail order business such as books, tapes, and love gifts. The big fish are "love partners" that can be deceived into sending in monthly donations, revenue from tax returns, estate sales, and even Living Trusts. 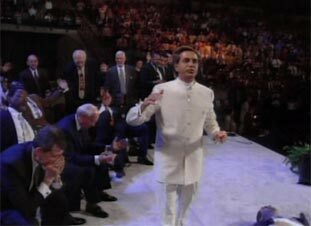 The Anointing, Selling The Act - Watch a Benny Hinn faith healing service and you will hear over and over again, "God told me." Fake healers sell their act by giving the impression that they are speaking to God and hearing from Him personally. After all if God talks to them they must be legitimate. Kenneth Copeland goes so far as to stop right in the middle of his speech saying, "Yes, yes, okay, thank you Sir," to give the impression that God just told Kenny something. Kenny quickly follows this up by interjecting some revelation on planting "financial seeds," with his ministry of course. Tongues - Faith healers want people to believe they can perform miracles. To build this false impression they imitate as often as possible the gifts of the Spirit given to the early church. Have you ever heard someone speak in tongues during a service? This is done to show that they are legitimate because they have the "anointing." I have listened to many people babbling like a one-year-old but I have never heard someone actually speak with the gift of tongues. Am I saying these people are putting on an act? You bet I am. The Biblical gift of tongues is the ability for people to hear the gospel in their language when someone else speaks in their language. This gift helped the Apostles spread the gospel around the world. I do not believe anyone has the gift of tongues today. To anyone that claims to speak in tongues I say lets put it to the Biblical test, put up or shut up! 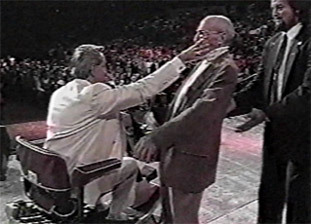 Slaying, The Takedown - If you have seen a Benny Hinn faith healing service you will see Benny blow on people and tap them on the head and they will fall down to the ground. Sometimes Benny blows to the audience and whole sections fall over in their seats. Charismatics call this "slain in the spirit." Actually what you are witnessing is a trained emotional response that has nothing to do with the Holy Spirit. Charismatics are people that lack real faith so they seek an outward sign. God is not going to give them a sign so the charismatic movement has been forced to fake tongues, healing, laying on of hands, and slaying in the spirit. Slaying in the spirit is like doing the wave at a ball game. Charismatics practice this their whole lives and they accept it as normal. Sometimes a fake healer gets someone that won't go down because they have never played the slaying game before. This is when attendants simply give them a little push on the back of the legs while the fake pushes on their forehead to force them to fall down backwards. In football this cheap shot is called a high low tackle. Celebrity Testimonials - Another way of selling the faith healer is to use testimonials from celebrities. Heavyweight champion Evander Hollyfield is a favorite of Benny Hinn. Supposedly Benny healed Evander's heart problems. It has now come to light that Evander was misdiagnosed in the first place. Enablers - Unbeknownst to most is that several of the "miraculously healed" at faith healing services are actually supporting actors that travel along with the rest of the cast on the "faith-healing" circuit. These "enablers" help sell the act by presenting themselves as someone cured by Mr. or Mrs. Fake Healer. They are perfectly healthy individuals. But prior to a show they will take up positions on stage or in the audience with their props, typically crutches or a wheelchair. Many enablers put on disguises and die their hair from service to service to keep from being recognized. Discernment - There is no miracle associated with how fake healers "discern" illnesses during a service. Information is gathered in several ways. Primarily data is collected on prayer requests prior to a service. This information is augmented by interviews by an assistant and someone pretending to be a doctor validating their condition and perhaps miracle. All the information collected by the faith healing team is passed on to the fake healer. The team is actually in control of the show.  They provide the data required to pull off an illusion of miracles. When you see a group of people all sitting in the same brand of stripped down wheelchair it is because the wheelchairs are owned by the fake healer's ministry. Truly disabled persons spend much of their lives in a wheelchair so naturally they equip it for their specific needs. Assistants "suggest" to some people that they should sit down in the wheelchair so they can be wheeled up to the stage. A skilled faith healer will also use tricks like asking people to raise their arms in praise to help identify those with limited arm movement. Crib Sheets - The most popular way to get discerning information to the fake healer is to put it in writing on crib sheets. Crib sheets are cheat sheets used by cheaters. Many times they will actually leave the crib sheets on the podium during the service. But you can bet they are destroyed like top secret documents after the service. W. V. Grant's was finally exposed when his crib sheets were handpicked out of some trash. You can bet crib sheets are put through a shredder today. Hand Gestures - Fake healers frequently use hand gestures to signal assistants for a new set of crib sheets or data to be used to "discern" an illness of another victim. Following the hand gesture you will see assistants whispering information to the faith healer and bringing a new victim on stage. Code Words - Code words like saying "Amen, Amen, Amen," are also used to signal assistants when a new "revelation" is required. Elizabeth Popoff electronically transmitted messages on cue from a database to a miniature receiver in Peter Popoff's ear during his faith healing services. This allowed Peter to miraculously "discern" health information. The Popoff ministry was expose one day when some of these electronic messages were recorded and made public on CNN. The Shotgun Technique - Another method used to create an illusion of discernment is the shotgun technique. The fake healer simply announces that a certain number of people in the audience are being healed of a certain disease, without ever specifying who they are. The Leg-Stretching Miracle - A favorite illusion of fake healers is the leg-stretching miracle. The fake announces that a subject has a "short leg" that needs to be adjusted. He brings the person on stage and seats him in a chair. Next the fake performs a simple carnival trick. As the subject sits the fake twists his hand so that one shoe or boot is slightly off the foot (the farther one) and the other shoe is pressed tightly against the sole. By reversing the twist the loose shoe is pushed on against that sole and the two feet are now seen to be the same length. The Sight Miracle - Another favorite illusion of fake healers if the dramatic healing of the blind. The truth is none of these people are totally blind. This is the clever suggestion implied by the fake healer. These people suffer from limited sight, not total blindness. This type of useful information is recovered in the auditorium lobby before the program typically in miracle requests and questionnaires. Cold Reading - A cold reading is the least preferred method of discernment for a fake healer because it can open the door for embarrassing moments. A cold reading is when the fake has not been supplied with any crib notes on the victim. They have no inside information and must wing it. Special techniques are used by the fake to pull off the illusion during a cold reading. These are the same techniques used by fortunetellers. 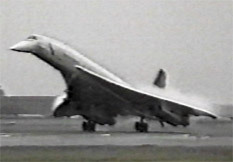 General statements are thrown out and the victim is encouraged to make it fit. A Way Out - Fake healers always leave a way out of a false statement. Putting the blame back on the victim covers up when a fake incorrectly discerns. "You do not have enough faith." How do you get enough faith? The fake healer defines "faith" as putting more money into their faith healing ministry. These guilt trips are introduced on Sunday as "financial seed" sermons - "give and you shall receive, God wants you to be rich, name it and claim it." What Damage Has Benny Hinn Caused? 1. Interference with proper treatment of patients. 2. Financial loss to the victims. 3. Diversion of vital church resources. 4. Blaspheming against the Holy Spirit by imitating gifts. 5. Perverting the gospel of "faith" with false doctrines. 6. Teaching a wicked generation to look for signs. 7. Confusing an already confused world. 8. Offering false hope to the sick, elderly and afflicted. It is impossible to estimate just how much money is extracted yearly from the victims of faith healers. And the sad truth is fake healers will always be with us. The small but irreducible percentage of people that will believe anything, no matter how ridiculous, will continue to dump cash into the fake healing racket. I would not want to be a faith healer on judgment day. They can fool man but they can not fool God! Benny claimed that his father was the mayor of Jaffa, Israel. When confronted with this lie Benny acknowledged that his father did not have the title of mayor, but says he performed the functions of mayor. The truth is Benny's father was "a clerk in an Arab labor office." Benny says he was miraculously cured of stuttering. The truth is people familiar with Benny's since his youth say that he never had a stuttering problem. Benny claims that a dead man placed on his stage was raised back to life. As far as I know Benny has still not repented and asked for God's forgiveness. Benny claims to have raised people out of wheelchairs, given blind eyes sight, opened the ears of the deaf, and also healed at least four people of AIDS. Not a single case has been substantiated. On Paul and Jan Crouch's TBN television program, Praise The Lord, Trinity Broadcasting Network, October 19, 1999, Benny said the following: "You're going to have people raised from the dead watching this network... people around the world who will lose loved ones, will say to undertakers, "Not yet. I want to take my dead loved one and place him in front of that TV set for 24 hours." I'm telling you. People will be -- people -- I'm telling you, I feel the anointing talking here. People are going to be canceling funeral services and bringing their dead in their caskets, placing them -- my God! I feel the anointing here -- placing them before a television set, waiting for God's power to come through and touch them ... You wait. Now the Lord just told me..."
Benny claimed on another occasion during a TBN broadcast that "the Lord was in front of him" and when he moved his arm so did Jesus. When he moved his foot so did Jesus. This continued until they walked together and they merged becoming one. Like I said before, until Benny repents from such blasphemy there will continue to be at least one dead man showing up at every Benny show. Benny's on stage antics are matched only by the heresy he peddles as "personal revelation from God." Don't take my word for it, you decide for yourself. 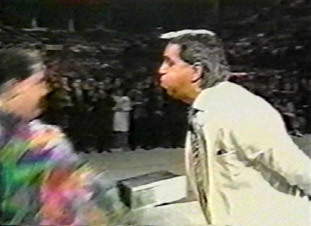 Benny Hinn stands or falls on his own words. According to Benny, Adam could fly like a bird, Eve gave birth out of her side, we are little gods, a man was raised from the dead on his stage, there are nine in the Holy Trinity, Jesus died spiritually, and Jesus took on Satan's nature. "Adam was a super being when God created him. I don't know whether people know this, but he was the first Superman that really ever lived. 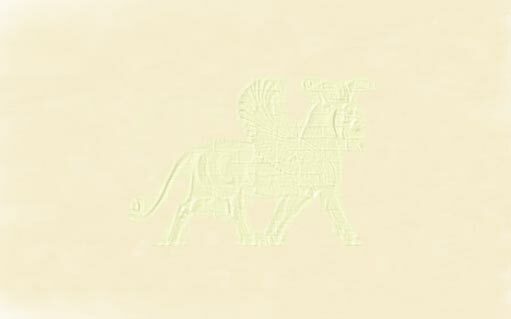 First of all, the Scriptures declare clearly that he had dominion over the fowls of the air, the fish of the sea - which means he used to fly. Of course, how can he have dominion over the birds and not be able to do what they do? I'll prove it further. Adam not only flew, he flew to space. He was-with one thought he would be on the moon." (Praise the Lord, TBN, 26th December 1991). Never Say, "Lord, If It Be Thy Will." - "Never, ever, ever go the Lord and say, 'If it be thy will....' Don't allow such faith-destroying words to be spoken from your mouth" (Rise and Be Healed!, 1991, p47-48). Jesus Became One In Nature With Satan - "Jesus knew the only way He would stop Satan is by becoming one in nature with him ... He became one with the nature of Satan, so all those who had the nature of Satan can partake of the nature of God. 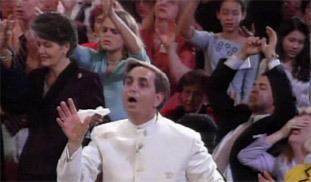 Benny Hinn, TBN, 15th December 1990). Jesus Died Spiritually - "Before He died, I should say, on that cross, something happened to Him which began the wheels of the New Creation moving that was this: He died spiritually! ...Jesus Christ understood that spiritual death is union with the satanic nature." (New Creation in Christ sermon, late 1988). Jesus Was Born Again In Hell - "Jesus was born again [in hell]" (Our Position in Christ#1, 1991, audio-tape). The Trinity Is Actually Comprised Of Nine - "Each one of them is a triune being by Himself...there's nine of them" (Benny Hinn, TBN, 3rd October 1990). "Years ago they used to preach, 'O we are going to walk on streets of gold.' I would say, 'I don't need the gold up there. I've got to have it down here'" (Praise-a-Thon, TBN, 2nd April 1991). "Poverty is a demon. God had to show me a vision of a demon literally to prove this to me... I had a vision in my bedroom. I was asleep and woke up and right in front of my face I saw a devil. You say, 'You saw it?' Yes, sir, I did. If you have troubles with it, that's your problem. And that thing was mocking me in my bedroom. And the Lord spoke and said to me, 'That is the demon of poverty.' (TBN, 1990). Benny Is Jesus In The Flesh - "I am not, hear me, I AM NOT PART OF HIM, I AM HIM! THE WORD HAS BECOME FLESH IN ME!. ...When my hand touches someone, it's the hand of Jesus touching somebody" (Our Position in Christ). Benny Has Healed Thousands - "Hundreds of verified healings and thousands of conversions have occurred including people rising from wheelchairs and leaving crutches. Several blind eyes and deaf ears have been opened and verified" (The Anointing, 1992, pp94-95). Benny Gives Revelations - "Please, please, please, don't think [we're] here to repeat something you've heard for the last 50 years. ...If we quit giving you new revelations, we're dead"
Benny Thinks He Is God's Anointed - "The Holy Ghost is upon me....The day is coming when those that attack us will drop down dead....Don't touch God's servants; it's deadly....Woe to you that touch God's servants. You're going to pay" (Miracle Invasion Rally, 22nd Nov '91). Now you understand why Benny seldom opens up his Bible on stage. These things are the utterances of a raving lunatic. He doesn't have a clue as to what scripture actually says so he makes things up and claims they are personal revelation! 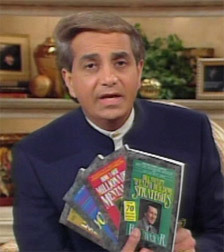 Is Benny Hinn one of God's anointed? Does the Holy Spirit supernaturally heal the sick during the Benny show? Did Adam fly like a bird? There is no middle ground here. You must either accept all of these claims or you must reject them all. Either these men and women have the power to heal people over the TV, with a knock on the forehead, and by blowing on victims, or they are con artists robbing God and sinning against the Holy Spirit. Don't take my word for it, you decide for yourself. Benny Hinn stands or falls on his own words.